There are numerous treatments and plastic surgery procedures available to reduce wrinkles and fight the signs of aging, but many are surprised to learn that the signs of aging can also be thwarted from the inside out. Although the results will not be as dramatic as plastic surgery, a consistent dose of these anti-aging foods can put off wrinkles and give your skin a healthy, youthful glow. Dark berries, especially those that are black or blue in color, have the highest concentration of antioxidants. Antioxidants protect the body against free radicals, which can damage healthy skin cells. 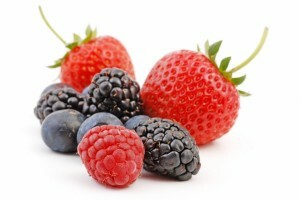 Berries also contain vitamin C, which helps repair damaged body tissues and has been linked to skin cancer prevention. Oysters are an excellent source of zinc, which helps to create collagen, the structural support system for the skin. 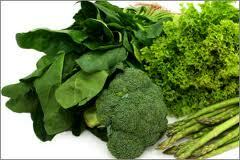 Zinc also helps to maintain stronger nails and leads to healthy hair and scalp. 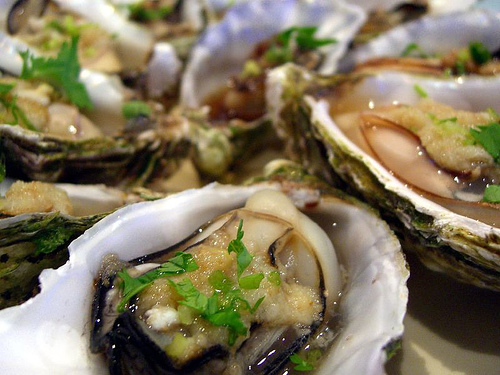 If oysters don’t please your palate, you can also find zinc in red meat, poultry, beans, nuts, crab, and lobster. Research has shown that regular consumption of lycopene and other carotenoids, which are found in tomatoes, results in less sunburn. 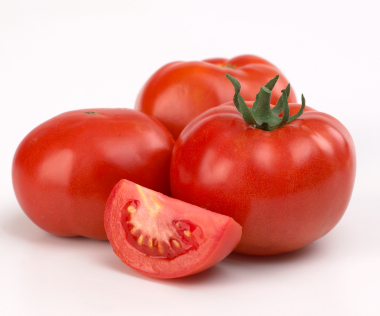 Interestingly, cooked tomatoes, such as tomato paste, actually contain more lycopene than raw tomatoes. Sweet potatoes and fruits like cantaloupe and mangoes also contain carotenoids, which will help resist the damaging effects of the sun. Dark green, leafy vegetables like kale and spinach are full of antioxidants such as lutein and zeaxanthin, which protect against the negative effects of ultraviolet exposure. Vegetables are also an excellent source of vitamins, including vitamins A, C, K, and E. Vitamin E in particular helps prevent cell damage, which leads to healthier, younger-looking skin. Whole grains, such as oats, whole wheat, and brown rice, are full of vitamins and minerals that provide a myriad of anti-aging benefits. 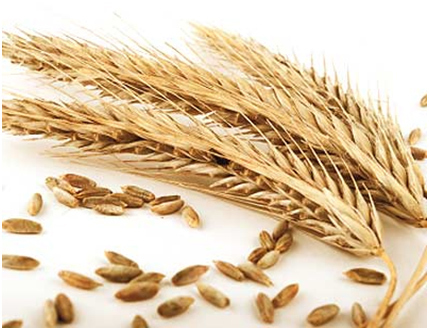 When whole grains are refined, they lose most of the vitamins that contribute to increased health and beauty. Look for the word “whole” on the nutrition facts label. When “whole grain,” “whole wheat,” or “whole [other grain]” are listed as the first ingredient, this guarantees that you are getting all of the nutrients of the whole grain. If the effects of aging have already taken a toll on your appearance, Dr. Wise may have a solution for you. If you are interested in cosmetic surgery in the New Jersey area, schedule a consultation by calling 973-658-4019 or filling out our online contact form today. We look forward to hearing from you!